Notonthesamepage, a 5 year-old chestnut colt who was bred and previously owned by Ken and Sarah Ramsey, had previously set a new track record for 4 1⁄2 furlongs at Churchill Downs as a 2 year-old and earned a 115 Beyer at 3. He suffered what was thought to be a career-ending injury in 2009 when he sustained a completely displaced transverse fracture to one of the sesamoid bones in his right forelimb. LifeLine Labs had harvested and cryopreserved mesenchymal stem cells from the horse’s umbilical cord when the colt was born in 2006. Once the Ramseys notified the lab of the injury, the cells were thawed and prepared for an injection of 5 million cells directly into the injury site for Dr. Ruel Cowles. A second injection of 25 million cells was performed several months later. 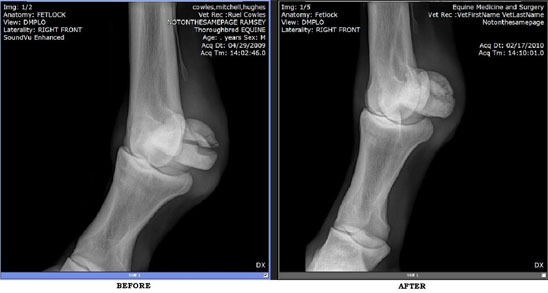 The fracture lines slowly healed over the course of a year and a progressive exercise regimen was prescribed for several months. The son of Catienus out of the mare Blue Holiday made his first start after 2 years and was claimed by Jamie Ness for Midwest Thoroughbreds while running 5th. 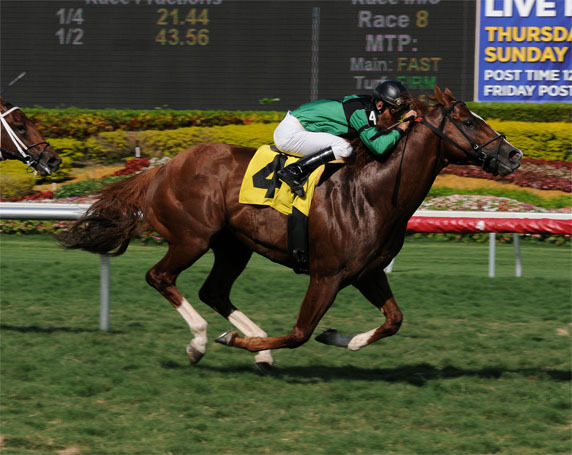 The next time out he won a $20,000 claiming race at Gulfstream Park, where he ran a blistering 5 furlongs in 54.73 seconds on the turf. This was the 2nd fastest time for the turf distance during the meet. Notonthesamepage is still in training and slated to run in the coming weeks. Stem cell therapy is evolving as a powerful tool for veterinarians treating a wide range of musculo-skeletal injuries and defects. The careers of horses are being extended with injections of autologous mesenchymal stem cells.